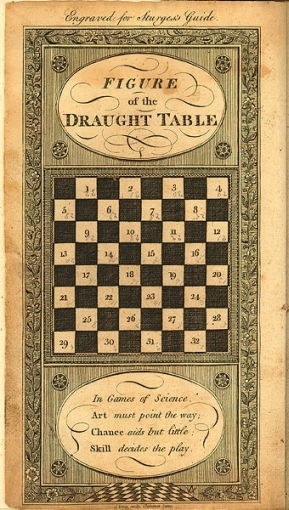 The Checker Maven is an internet magazine or "webzine" with a focus on Anglo-American 8x8 "straight" checkers/draughts. The intended audience is checker fans of all skill levels, from beginner to expert. The Checker Maven publishes problems, studies, games, news, features, checker fiction, and just about anything that is of interest to the serious checkerist. Since your editor is at best an intermediate level player, however, you might find that at times reflected in the content; our class of player needs much more tutoring than the expert players. The Checker Maven promotes the philosophy that checkers is a game for everyone, a mind sport for the common man, and a great pastime and intellectual pursuit whose depth is not always seen or appreciated. The Checker Maven aims to present the challenges and pleasures of checkers to the world at large. A new Checker Maven article is published each week at 00:02AM HST on Saturday. In our nearly thirteen years we haven't missed a single weekly publication date. Comments and suggestions are most welcome; just email. Guest articles are always of interest; if you write to a professional standard please let us know what you might have in mind. We do not accept requests for promotion or endorsement of any type. We do promote our own books as a means of partially defraying the costs of hosting the Checker Maven website. In addition to not charging a subscription fee, we do not and will not participate in banner, ad-word, link exchange, or other third-party advertising programs. The Checker Maven is offered on an as-is basis with no express or implied warranties of accuracy or usability. You must use information presented here entirely at your own risk. The Checker Maven is dedicated to Mr. Bob Newell, Sr.; may his memory be for a blessing. Enjoy The Checker Maven and the grand old game of checkers! The Checker Maven is owned and operated by Avi Gobbler Publications. This page was last updated on October 18, 2017.